Zucchini, tomato, & bell pepper bake! Wouldn’t you know it? I just made this great recipe and *DAAAANG* forgot to snap a pic before the pack of hungry boys scooped it onto their plates leaving nothing but a trail of destruction…and a bit of feta which i (of course) picked from the dish. A girl could have worse problems, so i shall not complain. I went looking for something…something to rescue the family from the endless parades of salads as their veggies supply chain. Well, here it is! I found a similar recipe in a magazine, messed with it, and ended up with the following. Now, my kitchen isn’t even CLOSE to America’s Test Kitchen – so please try it, tweak it, and report back! add stuff! make it YOURS, but for the love…please let me know so we can try it too!! warning…i wrote this one the way I cook. I just kinda ‘went with it’. Try that. remove the science from the cooking for this recipe and get all zen. just be one with the fooooooood. are you zen yet?? 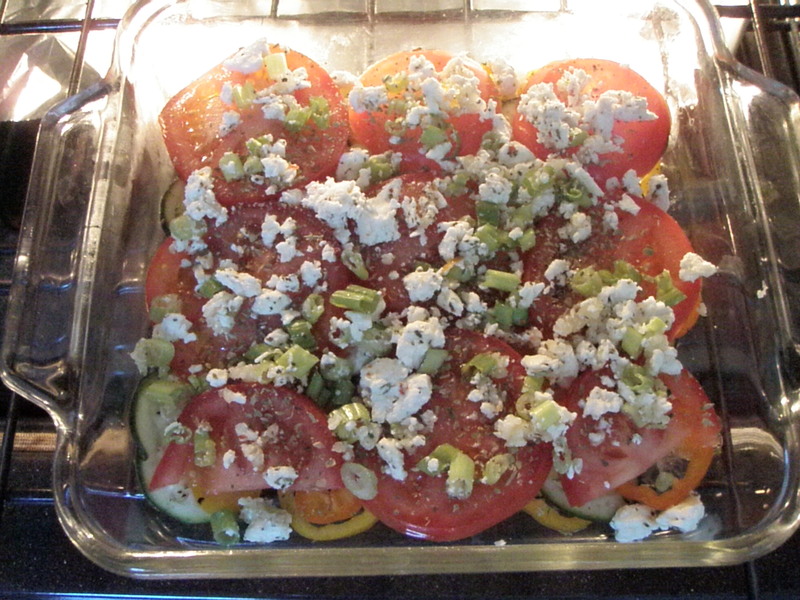 Baked Zucchini, Tomato, & Bell peppers * (*or whatever), oh yah, and feta. a Zucchini (at least one, but remember, they come in all sizes, just go with it.) sliced not too thin. about a pound of tomatoes. less if you don’t have it (‘oooohhhhmmmmmm’ – feel zen??) 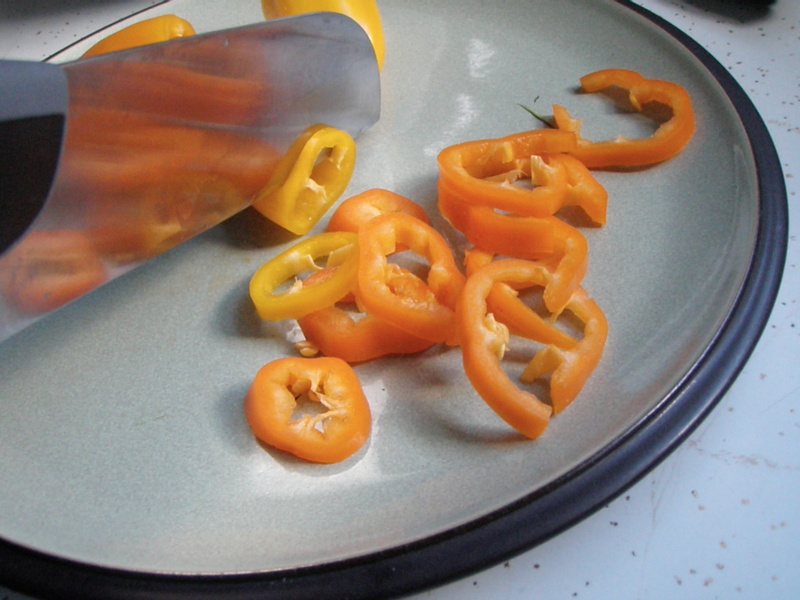 cut them into nifty circles or even half-circles, no thincker than 1/4″. 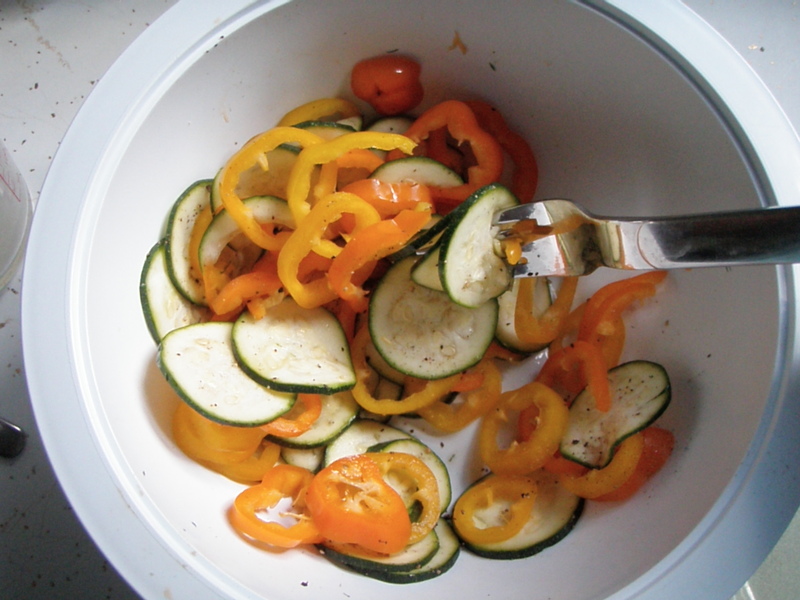 combine bell peppers & zucchini, toss with salt & pepper. 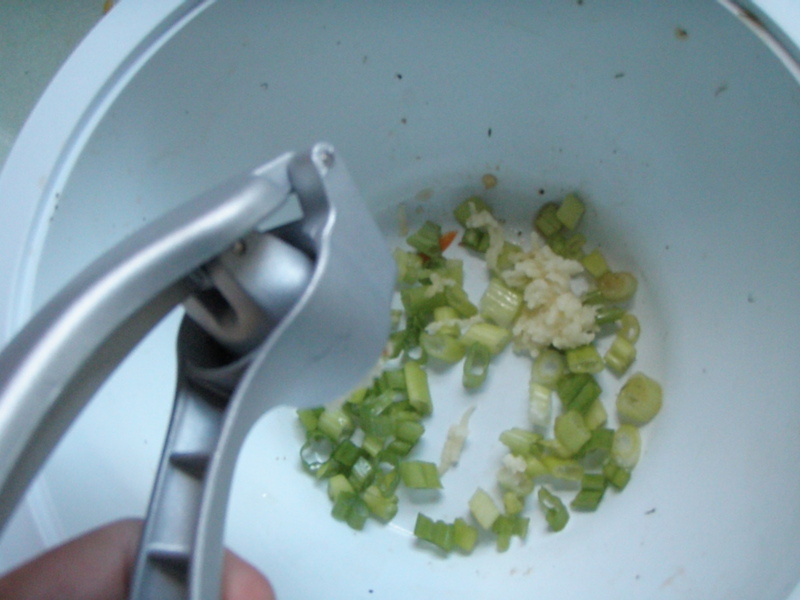 in another bowl, combine garlic,green onions, oregano, and feta cheese. Add tomato layer with a slight overlap if you are crunched for space. drizzle with a bit of olive oil (unless like me, you forget this step because the fiendish children have interrupted your train of thought once again!!) – note: it still came out great. seriously, you can’t go wrong here. Bake for about 30 minutes and then you had better get some, because it will disappear FAST. in other words, serve immediately. Layers: think like a lasagne: double the recipe and layer layer! you’ll note i had made only a half batch for this, and was i ever sorry: there was none left for me! 2. Leave a comment telling me why you read this blog. What do you look for when you are here? 3. Tell us what motivates you? I’m curious! 4. Share us on your facebook or twitter page. winner chosen by the 27th of June…so get on this!! Lunch Menu: Crustless Quiche Recipe and a Giveaway! 3 Ingred Dessert! Coconut Milk+Frozen Fruit+Blended=Blissful “Homemade Ice Cream.” Giveaways too! Ah it’s very refreshing to hear someone that is focus on being healthy say they get bored with salads! I end up feeling guilty when “another salad” just doesn’t sound good. Love the recipe ideas, keep them coming ladies. I am always looking for new ways to incorporate veggies as I am not that good at eating them! I have ALL the ingredients. I think I may try this, soon! oh I think I am going to make this recipe this weekend!! Thank you!